Outstanding and good results in narrowing attainment gaps. Outstanding and good academic outcomes for children with previously poor trajectories. Positive and sustained progress in children’s emotional wellbeing, mental health and general functioning. Significant progress in children and families resilience resulting in decreased distress and impact associated with the child’s complex needs. Good track record of reintegration rates sustained over the last 10 years – (around 50% returned to mainstream or specialist day school for learning). Achieving future long-term placement stability – (one year after leaving Gloucester House 82% of children are stable and doing well). Positive feedback from stakeholders, parents/carers and children. Excellent rates of attendance at clinical appointments with families and children. Outcome measures for the academic year 2017-2018 show that Gloucester House continues to support the educational and social and emotional development of our children. The children at Gloucester House make sustained good progress, compared to previous educational placements for them. This is evidenced by the fact that more than 85% of the children were making no or limited progress in two or more academic areas and all were significantly underachieving in personal, social and emotional development, prior to admission. •100% of children making nationally expected rates of progress or better in at least one area and 75% of children making nationally expected rates of progress or better in four or more areas. •67% of children making nationally expected rates of progress or better in Reading. •75% of children making nationally expected rates of progress or better in Number. •Using the QCA behaviour scale, all children showed progress over the year. Progress from baseline indicates that despite their academic underachievement on entry and their very significant barriers to learning we are able to positively impact both their behaviour for learning and their academic learning over time, alongside positively impacting their emotional development and working with family and network. Achievement for many is good and for some rapid when compared to baseline or prior achievement levels/rates of progress. This demonstrates growth in children’s knowledge and improving attitudes to learning from low starting points. Some children are rapidly closing attainment gaps by up to double the nationally expected rates of progress. Goals are set, reviewed and monitored termly alongside children and parents/carers. The 3 goals integrate, learning, SEMH and home life. Goals are tailored to account for individual needs and difficulties and therefore provide a measure that is specific to each child and sensitive to individual development. Total of targets met or partially met – 96%. The results demonstrate that 63% of children had fully met over 50% of their targets and 42% met over 66% of their targets. No child had more than 1 target not met in the year. SDQ - Strengths and Difficulties Questionnaire. 70% of pupils had a decrease in totals difficulties. Impact on conduct presentation was particularly positive with 47% of pupils moving from ‘probable or possible’ to ‘unlikely’ for conduct difficulties. This data provides strong evidence that the Gloucester House model has a significant positive impact on Conduct type problems and externalizing presentations. 94% of parents/carers reported a decrease in overall ‘impact’ so decreased distress and impairment in their daily life as a family. 100% pupils reported a decrease in total difficulties. 40% (2 pupils) moved from ‘abnormal’ (at first measure) to ‘normal’ (at discharge) with a further 40% reporting at baseline as ‘normal’ and this remaining stable. 60% (3 pupils) were within the ‘slightly raised’ (1), ‘high’ (1) or ‘very high’ (1) category at first measure – of these all 3 pupils reported as being within the ‘normal/average’ category on discharge. This measure is used by mental health clinicians to rate the general functioning of children. An increase in the CGAS figure indicates an improvement in general functioning. 100% of pupils showed improvement in general functioning (CGAS). The average increase was +12 points and the highest at + 25. 81 % of pupils increased one or more sub sections within the CGAS criteria. This demonstrates that the general functioning, resilience and mental health of pupils at Gloucester House consistently improves over time and for some children this improvement is particularly rapid. During the last academic year, we have had seven children leave. They were all planned reintegration’s into new provisions at the end of the expected program except one which was earlier than initially planned as it was felt we were no longer the best place to meet the child’s needs. Of these seven children; three went onto mainstream placements, one went onto a provision for Learning Difficulties and three went onto another SEMH provision. All children had made progress over time. Four of them were diagnosed with learning difficulties. All had closed the gap between their chronological age and attainment. Even those who didn’t make expected progress over the full time they were here were closer to expected progress when they left compared to their progress at baseline. From ESQ (Experience of Service Questionnaires) - Completed on discharge. What was particularly good about your care? 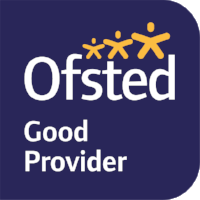 Ofsted graded our school against their scale of 1-4 to represent ‘outstanding’, ‘good’, ‘adequate’ and ‘inadequate’. In November 2017 we achieved a grading of 2, ‘Good’ with outstanding features (Personal development, behaviour and welfare). We meet regularly with parents/Carers and gather their views. Parents/ carers have positive views of the provision. This is evidenced by questionnaires completed bi-annually. The high attendance rate we have for parents/carers at individual meetings, group meetings, celebration days demonstrates their appreciation of our work and their involvement in the life of Gloucester House. 100% of parent/carers attended at least one of the parents' days during the year. 100% of parents/ families are engaged and attending parent/family work meetings. Parents/carers were surveyed twice during this academic year. From the parents/carers who completed questionnaires 100% scored the following statements in the agree and strongly agree categories. 100% felt they were well informed about their child’s progress. 100% felt comfortable about approaching Gloucester House with questions, a problem or a complaint. - Gloucester house helped them know and understand their ICP targets. - Gloucester House helped them achieve their daily targets. - 78% reported that they were pleased with comments their teacher gives them on behaviour and work targets. The most recent survey of our users and stakeholders suggest Gloucester House is valued and appreciated. Professional users indicated they see the as a valuable resource. 92% of respondents to a user satisfaction survey found the provision to be satisfactory or above with 75% in the ‘good and very good’ categories. 100% of respondents judged the balance between education and health input as ‘just right’. Respondents commented on the intensive education/ therapy combination; the focus on multi-disciplinary planning and meetings and the post discharge reintegration support as particularly helpful. - “There is tremendous need for the type of understanding Gloucester House offers." 51% return to mainstream or special day schools for learning following placement at Gloucester House. We believe that Gloucester House continues to demonstrate its willingness and capacity to respond to the economic climate and to service users and commissioners feedback. We strive to continue to develop a cost efficient and responsive service which at its core is child and family centred.